I enjoy fishing, and I&apos;m always searching for a new spot to visit. I did a search of the the local parks in Hendricks County, and decided I wanted to go fishing at Sodalis Nature Park in Plainfield, Indiana. Let me tell you a bit about Sodalis Nature Park. First of all, I love the name. The name sounds a bit different, doesn&apos;t it? Sodalis is the name of an Indiana bat species (Myotis sodalis). The Indiana bat is endangered, and within Sodalis there is an established area to help protect the bats. I&apos;m not the best with directions (which means I get lost easily), and I didn&apos;t pay close enough attention so I had to turn around once after I drove right by the sign for Sodalis Nature Park. I guess I was too busy listening to the radio and taking in the beautiful country scenery. Sodalis has plenty of parking available, and it took me only a couple of minutes to walk from the parking lot to the edge of the 5.5 acre pond. On the way to the pond, a fellow fisherman said, &apos;Hello,&apos; told me he didn&apos;t catch any fish and wished me luck. It&apos;s what you do when you go fishing, you say hello and wish each other luck. At Sodalis Nature Park, it is a catch-and-release pond, so anything you catch, you must put back. It was the middle of the afternoon, and it was just me casting into the pond. There were a few other fisherman there, but they were on the other side of the pond. I stayed in my spot for about 15 minutes and then decided to change spots to see if I could change my luck. I kept fishing for about 45 minutes and still didn&apos;t catch a fish. But that&apos;s the way it goes when you&apos;re fishing. Sometimes the fish aren&apos;t biting that day. I didn&apos;t care, I was having so much fun just relaxing with a beautiful blue sky over me. I decided to spend a few minutes walking around and taking pictures. What a beautiful nature preserve! While you&apos;re there it&apos;s easy to forget that you&apos;re just minutes from all the hustle and bustle. 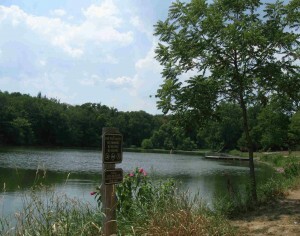 There are 3.5 miles of scenic trails, and there&apos;s also a picnic area. I can&apos;t wait to come back, and I will make sure to pack a picnic on my next visit. 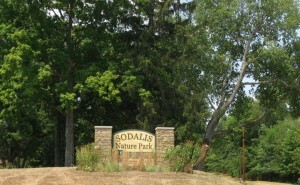 Sodalis Nature Park 7700 S. County Rd. 975 E., Plainfield. Why go? 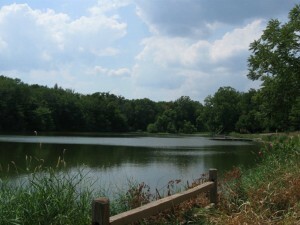 A gorgeous pond for fishing and plenty of walking trails. And, totally free! That&apos;s right-- no fee! Hours: Open daily, dawn to dusk, check the website for directions and more information (including information on nature programs, to learn about the bats and a trail map). Tip: Pay close attention so you don&apos;t drive by the entrance, like I did. 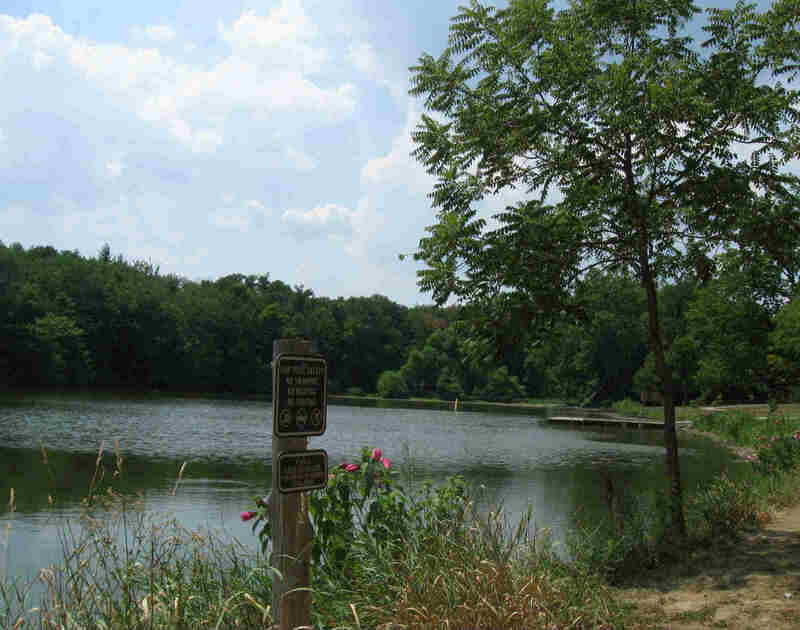 Have a go-to park in Hendricks County or a go-to place for fishing? I&apos;d love to know. Drop me a note in the comment section.